Home Affairs minister Obert Mpofu has approached the High Court seeking to block the transfer of his three companies to the Deposit Protection Corporation (DPC) — the liquidator of his now-defunct Allied Bank Limited. 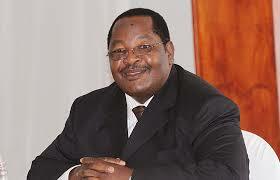 Allied Bank, majority owned by a vehicle linked to Mpofu, had its licence cancelled by the Reserve Bank of Zimbabwe in January 2015 after it was found to be in an unsafe financial position. Following the cancellation of the bank’s operating licence, Mpofu was asked to pay $16 790 000 to the liquidator, but this has not happened. In April 2015, Trebo and Khays — the investment vehicle linked to Mpofu — was said to have made an undertaking to transfer to Allied Bank five properties in Bulawayo and one in Harare. The DPC claims Mpofu has refused to surrender the properties in breach of the agreement, prompting the claim against him. Following this process, DPC later applied for Mpofu’s companies Trebo and Khays (Private) Limited, Khanondo Safaris and Tours (Private) Limited and Moya Security (Private) Limited to be transferred into the name of the liquidator. Mpofu, his companies and his wife Sikhanyisiwe, however, made a counter claim and raised preliminary points to the application, which were struck off by the High Court. The minister is now claiming in his fresh High Court application that the order to strike off his counter claim and preliminary points was given in error and now seeks a rescission of the judgment. “The judgment of the honourable court dated May 17, 2017 was erroneously sought and erroneously granted in the absence of the applicants herein. “It is therefore subject to setting aside in terms of Rule 449 (1) (a) of the Rules of the honourable court,” argued Chenjerai Daitai, who is representing the applicants in the matter, in an affidavit. Daitai said the purported application to strike out Mpofu’s request was not a chamber application or a court application as provided for in the rules of the honourable court. “Accordingly, the honourable court ought not to have entertained the document as an application. Order 32 Rule 226 of the High Court Rules, provides that all applications made for whatever purpose in terms of these rules or any other law other than an application made orally during the course of a hearing shall be either made as a court application, that is in writing to the court on notice to all interested parties or as a chamber application, that is to say in writing to a judge,” the court heard. According to Daitai, the judgment was obtained outside the law.